I installed Majove 10.14.3 on the Lattepanda as described in novaspirits youtube tutorial. Including the bios setup. Everything is running fine and i’m really really happy. Thank you very much for the tutorial and the clover files. 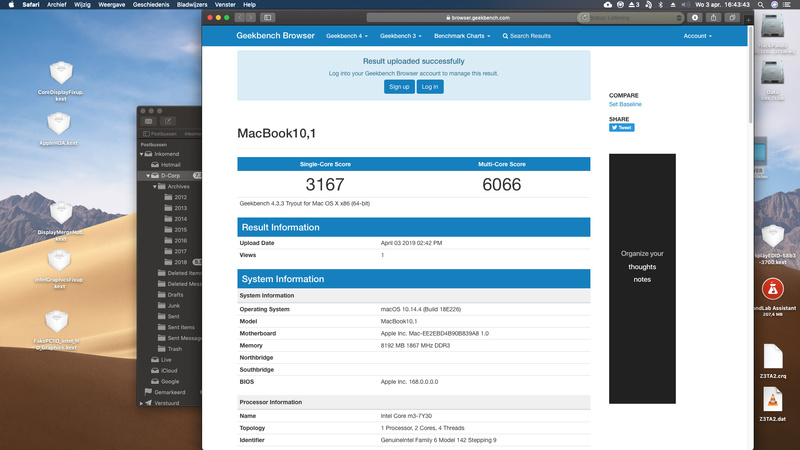 However, when i run geekbench I get a single-core score of 2797 and a multi-core score of 5911. In this youtube https://www.youtube.com/watch?v=hjsd6j4l0Hw a multi-core score of 6309 is reached. 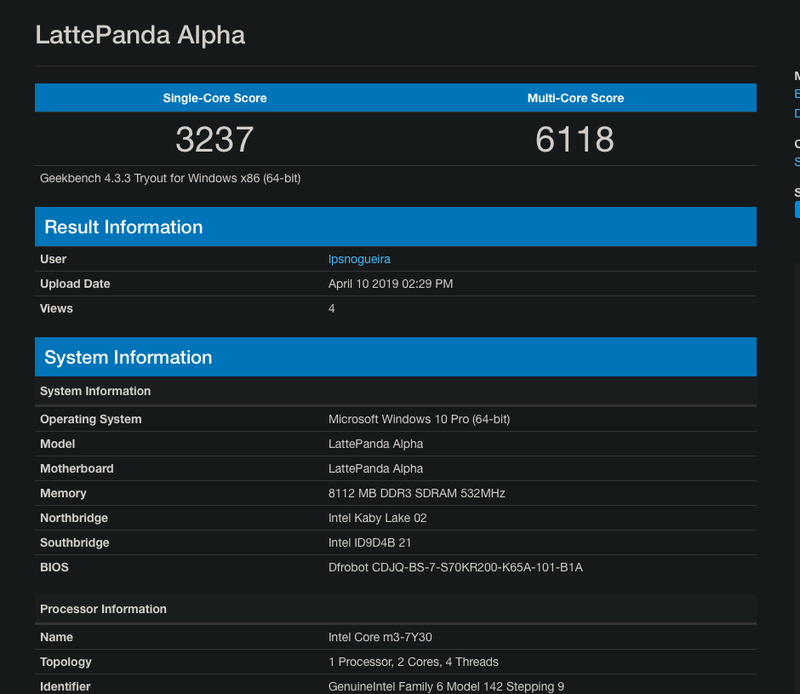 And in this forum post https://www.tonymacx86.com/threads/lattepanda-alpha.263598/ a multi-core score of 6541 is reached. Does anybody else have these “weak” scores? What could be the reason for these differences? Different Clover Settings? Different Bios Settings? This is what should be expected. 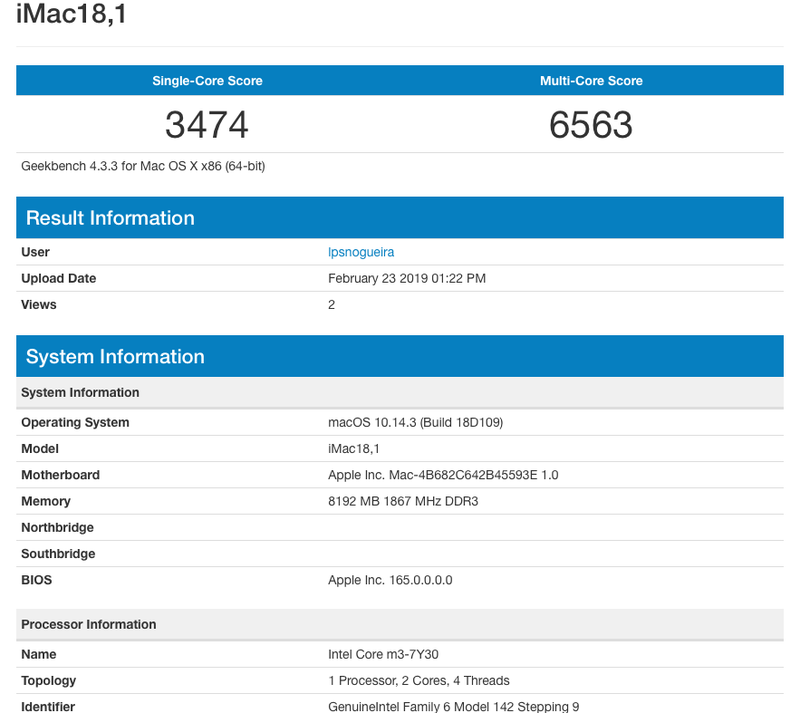 As for comparing it to Ubuntu, maybe there are built in limits for the CPU due to the thermal design and stability of the chip which were inherited from systems using the same chipset… Apple doesn’t really sell water-cooled systems, and therefore sometimes under clock boost speeds for thermal / battery life savings.